A new real-time infrastructure has seriously improved the speed of data distribution from five of Equinor’s oil fields in the North Sea. Stjørdal, Norway: The concerned offshore installations, Heidrun, Aasgaard A, Aasgaard B, Norne and Kristin, had originally Information Management Systems (IMS) provided by the DCS and Safety System vendor. But putting all eggs in the same basket, with a solution from OSIsoft (PI), one of the specialists on real-time infrastructure and historical process data, has resulted in extreme improvements in performance. Especially when retrieving historical data by numerous users, up to a couple of hundreds at times. – It is almost a revolution when analyzing aggregated data over a long time period, with second resolution. 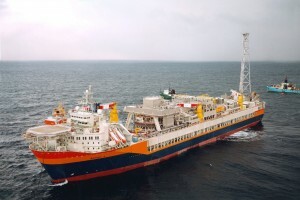 With the old solutions, the users were sometimes reluctant to commence a task, despite lower time resolution, but that is history, says Finn Madsen, Project Manager and Leading Analyst in Equinor, to Automatisering. He indicates that the performance may have improved 50-fold, obviously depending on the concerned data search. – The new solution is more stable than the old one, confirms Madsen. – And we are integrating even more stand-alone systems than originally planned. – In addition to all the control and safety system signals at the five installations, we have amongst other included the signals from the power systems at Norne, fiscal metering, weather data and downhole systems. And more systems will be incorporated; the next might be well data. Because it is obviously room for even more in the spacious software license, covering 150,000 tags, probably the biggest such solution in Norway. – At present a bit more than half of the tag capacity is utilized. Equinor has built a reliable hardware infrastructure for the new real-time solution, both communication and server-wise. – We have the latest and greatest redundant servers for PI, in our onshore network. Initially we will discontinue deleting old data because the old computers ran out of disk space, says Ketil Lie, Specialist and Technical Responsible. – Redundant fiber optic links are used between the offshore installations and onshore. Radio links are used as backup communication between the platforms, with a couple of exceptions. Data integrity and security are well taken care of, with one way data communication and fire wall. – OPC is used as communication interface for the control and safety systems. And communication is read only, to avoid unwanted data at the platforms. Furthermore, a number of functions and features are only available for offshore staff, explains Lie. 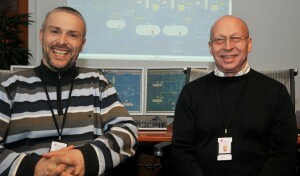 – The mentioned servers are located in our secure network, statoil@work. – We had slugging problems at one of the wells at the Norne field. It would have led to reduced production at a later stage. With the old system, we would not have discovered the issue. -. But with PI we could predict the approaching problem. And by taking appropriate actions in due course, we prevented loss of production. – The message is that the new real-tine infrastructure can mean a lot of money, smiles Madsen. HIgh time resolution (typically 1 second) has proved very helpful in detecting approaching problems.